'Swept' was created by Marc Moulton of Statesboro, Georgia. 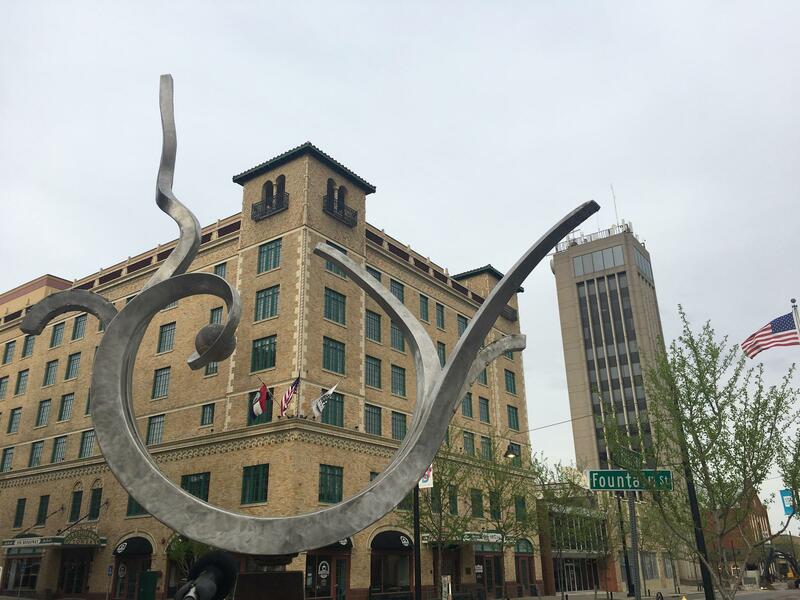 It stands on the corner of Broadway and Fountain Street. “A chair and a table are never just a chair and a table. Instead, they turn into other worlds, things, and people,” said Sailer. She said this gives them a wonderful opportunity to talk about big ideas such as life and death, and also about ‘being human, and everything that is required of us socially.’ Yet, that sense of wonder is diminished when we grow older. “We get overwhelmed by going through our life and getting from point A to point B as quickly as we can, and not really stopping and thinking about our environment as much,” said Sailer. When it came to choosing pieces for the show, she said she didn’t want to pick things that were monumental or statuesque, but transformative. “All of these open up questions and thoughts, but they’re something pretty awesome that’s making us think,” said Sailer. 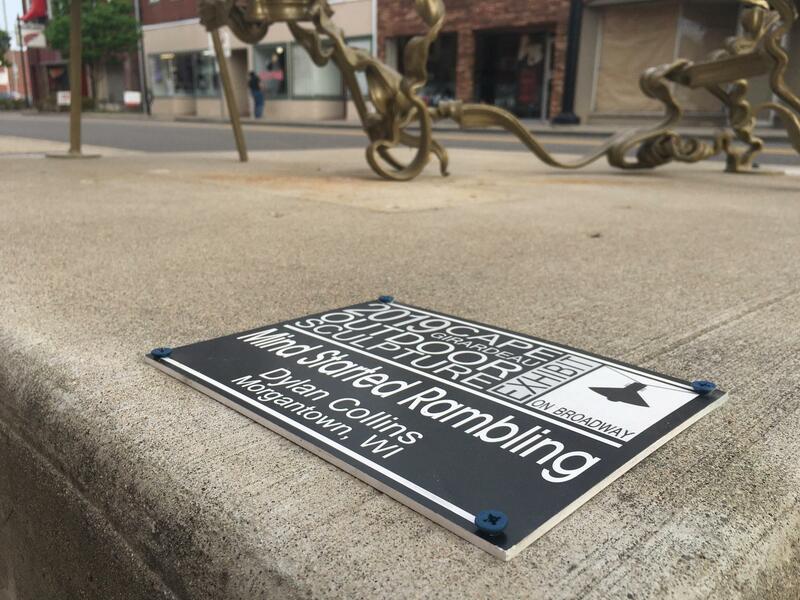 “Now, we have grown to expand outside the museum, and putting art in public spaces in Cape Girardeau has become a part of this change,” said Steffens. 'Mobile Home,' created by Andrew Arvanetes, stands on the corner of Broadway and Pacific Street. Two artists were present for the reception: Andrew Arvanetes and Dylan Collins. 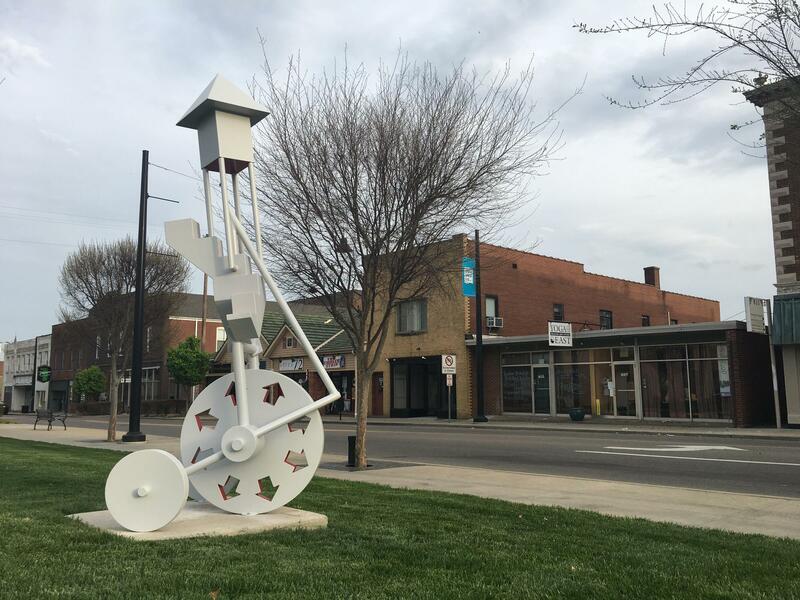 Arvanete’s work, entitled Mobile Home, stands at the intersection of Broadway and Pacific Street. He says much of his portfolio features architectural and mechanical details, and while Mobile Home is similar, it also centered on transitions. Collins now lives in Morgantown, Wisconsin, but he has a small past in Cape Girardeau. When the River Campus was built 11 years ago, he taught foundations for a year in the art department. “I have a real love for this place, and I’m always glad to see a bunch of friends, the river, and all of the things that have changed and grown,” said Collins.